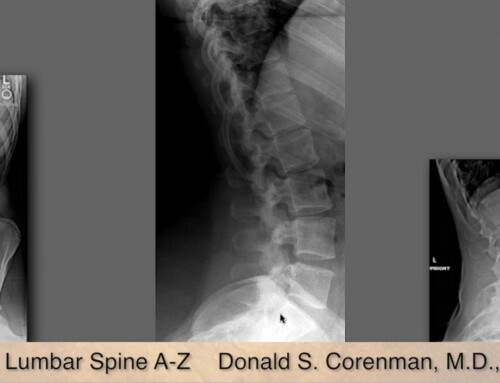 Dr. Donald Corenman offers a special perspective on chronic back pain as having worked both as a chiropractor and then an orthopedic spine surgeon. His Vail, Colorado spine practice services patients from the Greater Denver, Colorado area and around the globe as they seek to find answers into the cause and treatment for their back pain and/or failed surgical treatment. He appeared on Good Morning Vail to provide an in-depth discussion about his new book and why it is so important to those who experience back pain. This video is a clip of the interview that took place on TV8. If you have chronic back pain and have been living with this pain for some time you may be considering alternative treatments such as steroid injections, physical therapy, medication or even surgery as a treatment option. This book about why chronic back pain exists is must-read for anyone who has on-going, chronic back pain and is undecided on the best way to treat the symptoms. Dr. Corenman’s more than thirty years in practice have taught him that treatment options make more sense when you have knowledge of how your pain occurs. This back pain book contains the whys and wherefores of all lower back pain management.